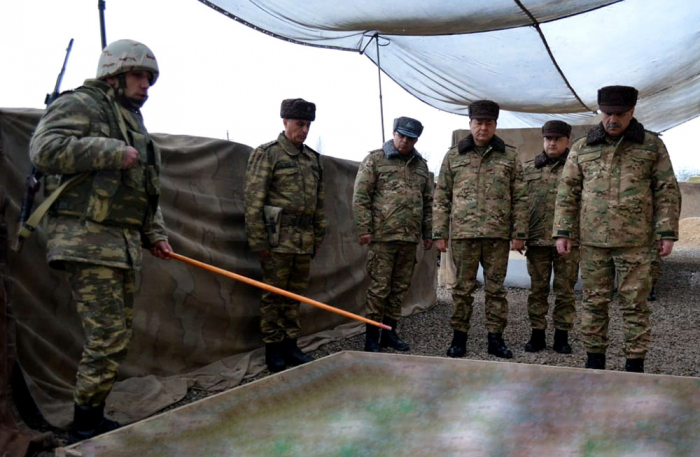 Under the instruction of President of Azerbaijan, Supreme Commander-in-Chief of the Armed Forces Ilham Aliyev, the Defense Ministry’s leadership visited military units and combat positions in the frontline zone and met with military personnel. 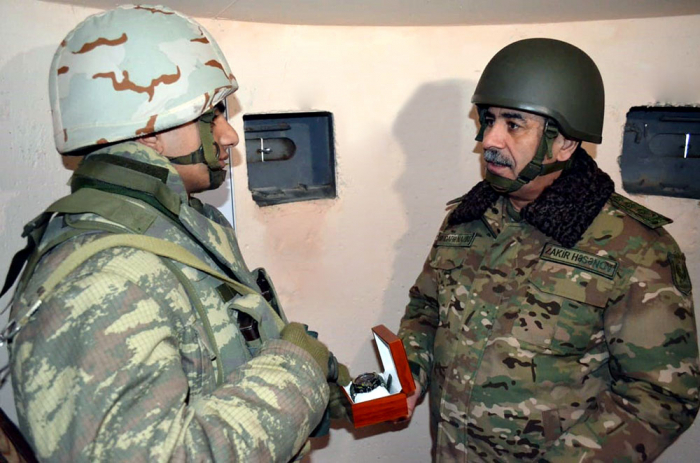 Defense Minister, Colonel General Zakir Hasanov met with military personnel who are on combat duty, checked the defense stability, combat and moral-psychological training of servicemen, as well as observed the enemy’s positions from the command and observation post. 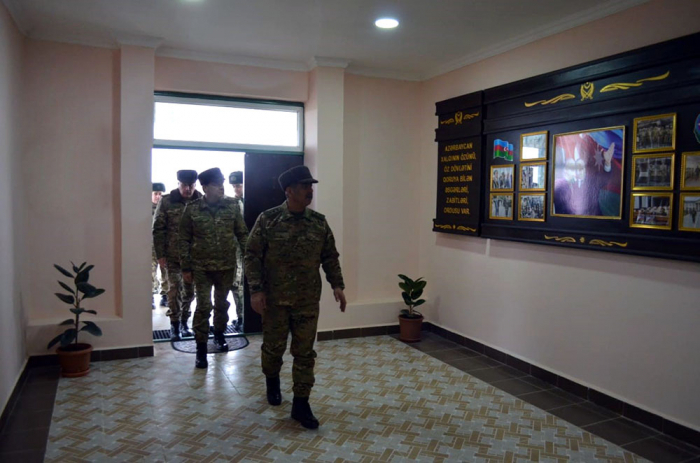 Hasanov inquired about the progress of work carried out in the sphere of improving the social and living conditions of servicemen and gave appropriate instructions in connection with the performance of these works at a higher quality level. The defense minister highly appreciated the combat and moral-psychological training of the military personnel and awarded the group of servicemen who distinguished themselves in the service. In conclusion, the ministry’s leadership talked to the servicemen at the tea table.